Verb identification is an important part of early education! 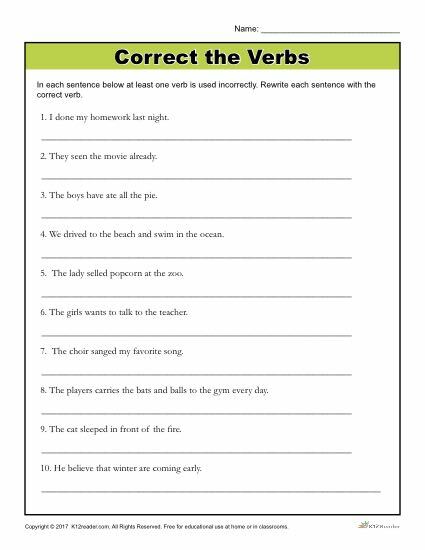 With this printable grammar worksheet, students will read through a series of sentences and answer the corresponding questions. In each sentence, atleast one verb is used incorrectly. Students will be asked to replace the incorrectly used verb with the correct one. This worksheet is great for use both at home and in the classroom! Ideal for grades 4-6, but can be used where appropriate.